If you’re a fan of vape cartridges and vape pens, you know you can always use an extra vape battery. 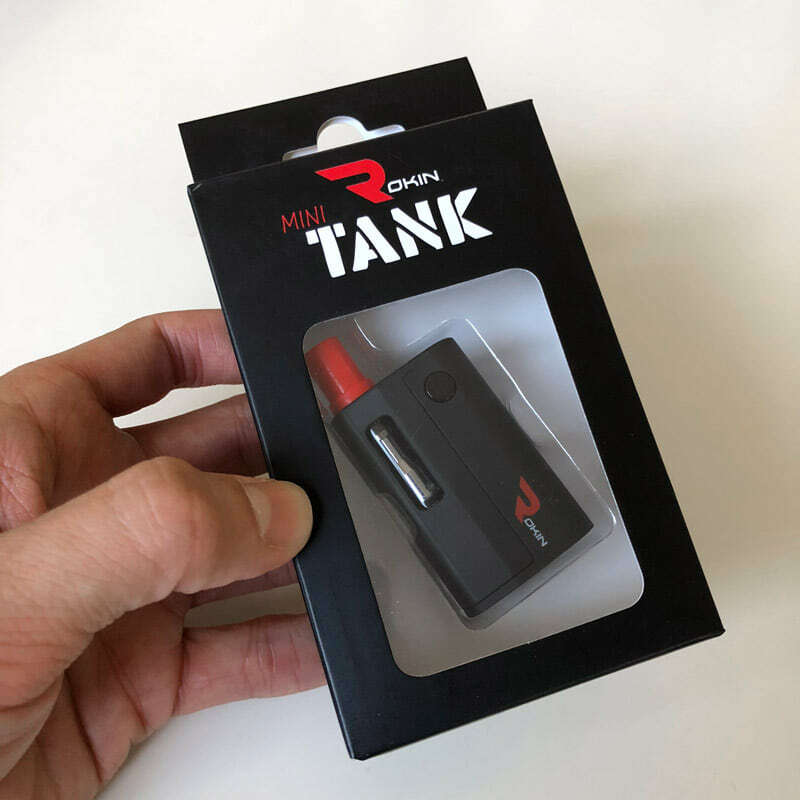 The Rokin Mini Tank Vape Oil kit includes a great vape battery and refillable cannabis oil tank. 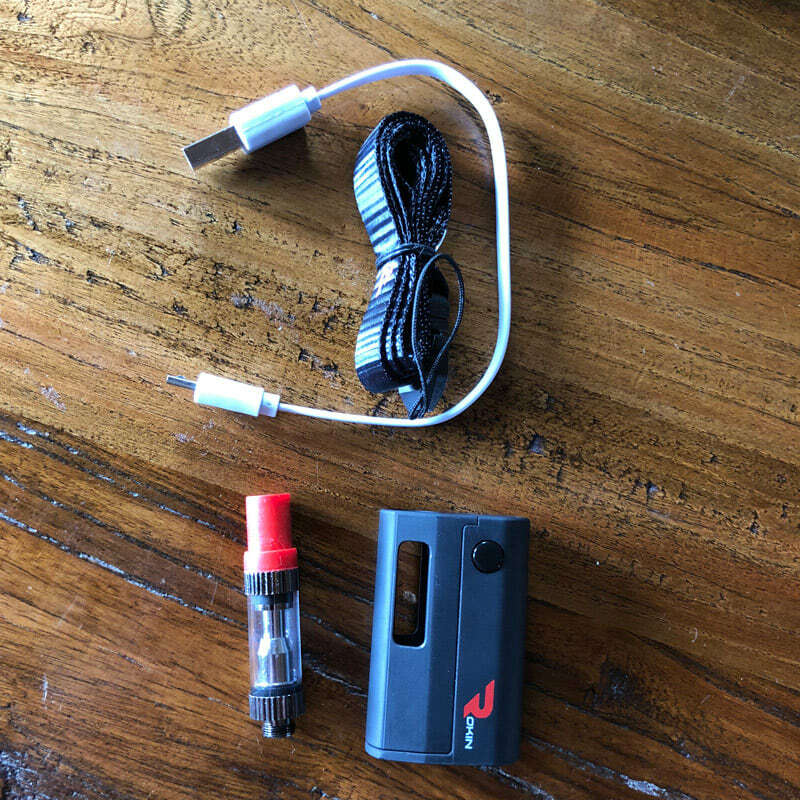 This miniature sized battery works with any 510 threaded vape cartridge. It’s ridiculously tiny and has a large battery storage capacity considering its size. 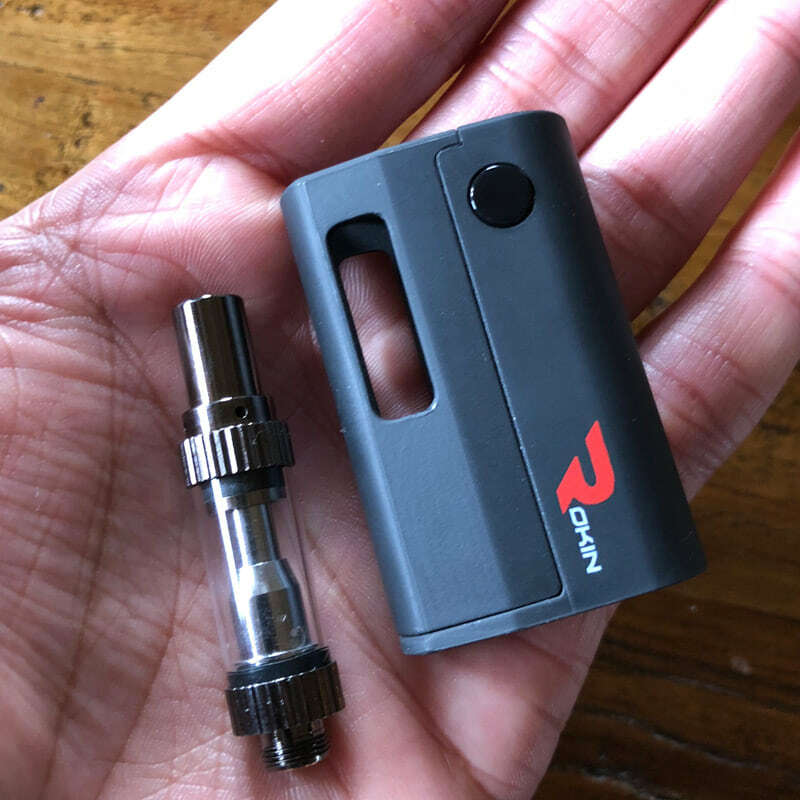 The Mini Tank battery is not your traditional vape pen style battery, but rather a tiny box mod vape battery. These box mod vapes for cannabis oils seem to be gaining popularity as we’ve seen a couple brands offering their own versions. The Rokin Mini Tank battery comes pre-charged and ready to go right out of the box. 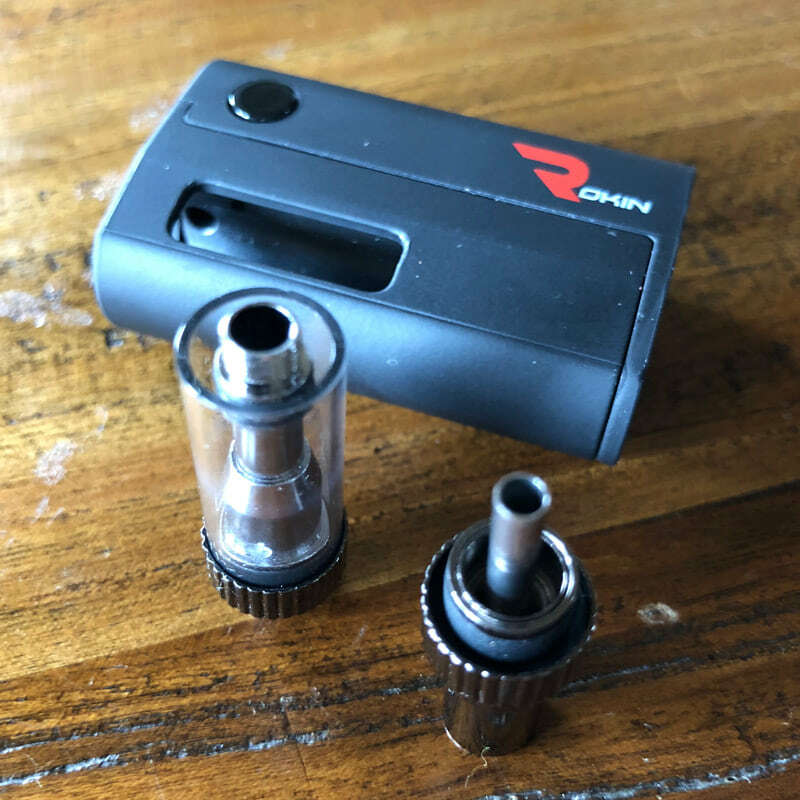 Just screw in any 510 threaded vape cartridge, press the power button five times to turn the battery on/off. 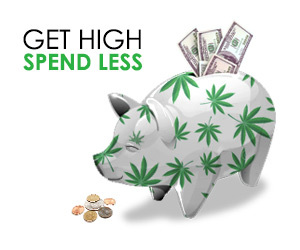 Hold down the button for the length of each inhale. For thick oils, use the 15-second preheat mode by pressing the power button three times while the battery is powered on. For convenient recharging, connect the charging cable to any USB port. The button on the battery will flash red when the battery is low and needs a recharge. 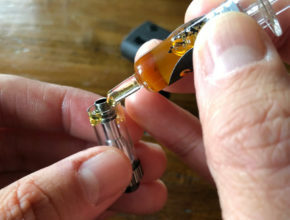 To fill the included vape cartridge with cannabis oil, remove the mouthpiece and top fill the empty tank. 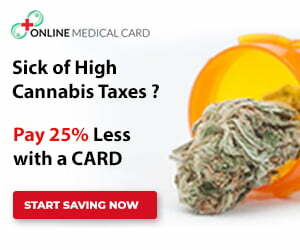 Vape cartridges are our usual go-to because they are so convenient and widely available at all dispensaries. We’ve gone through a lot of vape batteries, yet we keep managing to discover smaller, lighter and more efficient batteries. The Rokin Mini Tank battery is a great every day carry vape battery. It’s a lot smaller than we expected. At about 2” tall, it fits easily into your hand and has a surprisingly long lasting battery. We tested the Rokin Mini Tank battery with several vape cartridges including Magic Pipe, Heylo and Bloom Farms cartridges, but it will do fine with almost any vape cartridge filled with cannabis oil. The included vape cartridge also works well when filled with syringe refill. 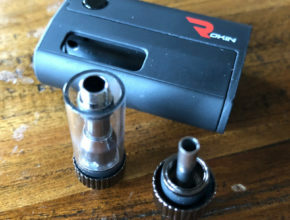 The Rokin Mini Tank is a great battery for everyday use with cannabis oil vape cartridges or keep it around as a backup. You’ll love how tiny this battery is and you’ll get many sessions on a full charge. 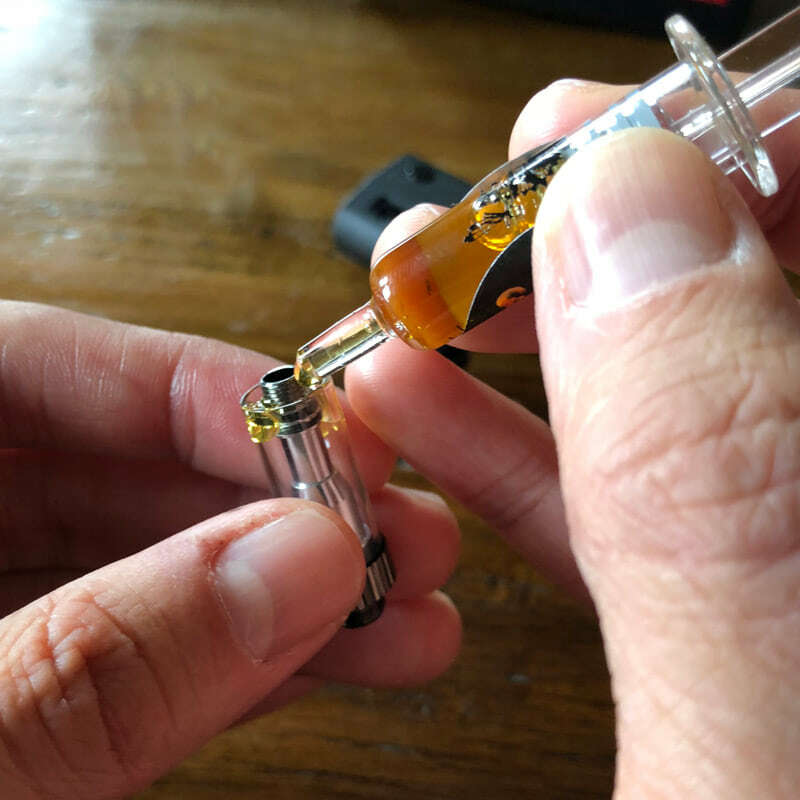 If you buy refill syringes for dabbing, you can also fill the included refill cartridge with your favorite oils. At Rokin’s excellent price-point and 1-year warranty, you can’t go wrong with the Rokin Mini tank kit. The Rokin Mini Tank Vape Oil Kit is available for $29.95 directly through Rokin. Use discount code “CVR20” at checkout on Rokin site for 20% OFF. Each Mini Tank battery is backed by a 1-year warranty. The Rokin Mini is one of my favorite vapes for every day carry. It’s soo incredibly tiny. Although, I wish it had variable volt adjustment. ALMOST a great vape. It hits HARD. But it needs more granular temperature controls, a physical “safety” switch (I can’t STAND having to know Morse Code to talk to my vape) and an “on” light on TOP of the unit, instead of under your finger where you can’t see it. Want to carry products for your shop?